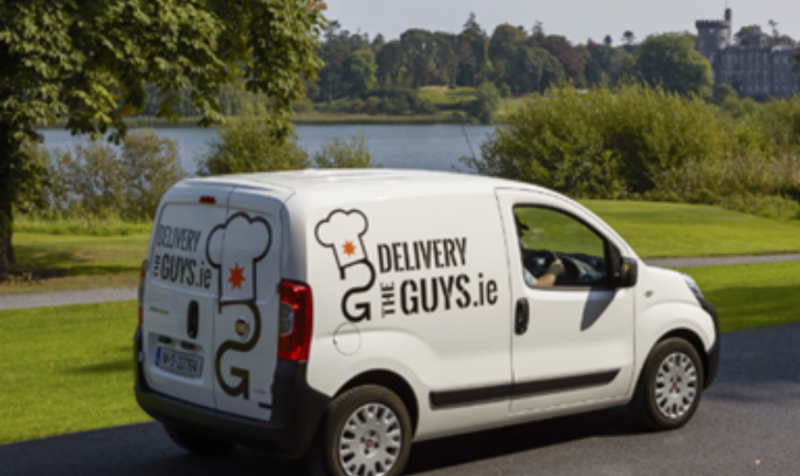 The Delivery Guys was founded by Eric and Mike Gargiulo after the Irish economic downturn, and allows customers to order from their favourite restaurants online. What is The Delivery Guys? The Delivery Guys (TDG) is a full-service online restaurant ordering platform and delivery service with a unique approach that will be irresistible to restaurant owners everywhere. We currently handle in excess of 30,000 orders per annum and growing that number month on month. The business was founded originally in 2013. However, the original concept was flawed in its business plan for expansion and was abandoned in July of 2017. It was replaced later that year when QSRS Ltd was formed. Since launching, we have re-invented how we conduct our business including our pricing structure, driver relationship and roll out strategy. We have made changes to our software that will allow us to expand and scale quickly, and have plans for further development that will not only make our application more user friendly but will also increase productivity and driver delivery ratio. We have investigated, beta tested and secured estimates on creating a ‘White Label’ version of our software platform that could be sold to large international chains such as Domino’s to better manage their delivery fleet. Simplicity and ease of use is at the core of the entire technology solution. Many may suggest it’s like Uber crossed with JustEat and Deliveroo, with a few unique differences. It works in three steps. Orders are placed online at www.thedeliveryguys.ie or using The Delivery Guys App on Google Play Store or Apple store by the public to a restaurant of their choice for collection, delivery by TDG, or delivery by the restaurant staff itself. The system is architected so in later releases, customers can order from multiple restaurants and have the orders delivered together. Order destinations are controlled by restaurant specific geo-fences, and automatically calculated delivery fees and times are based on the destination. The order is then routed through to the appropriate restaurant in real-time where a specially designed and built hardware device sits running the restaurant app. The unit alerts the restaurant to a new order, and assuming the restaurant accepts the order, a confirmation SMS is sent to the customer, and the order appears in real-time on the dispatcher’s screen for allocation to a driver. Each driver receives the jobs in real time, with all the customers, collection, drop off and timing information, including maps, directions and buttons to indicate when orders are collected and delivered. These buttons trigger status updates for the restaurant, dispatcher, and SMS updates for the customer so they know where in the process their meal is at all times. The software is built on modern high scaling real-time infrastructure, databases and platforms and in its current form can quickly scale to handle tens of thousands of transactions per day. It has been built in such a way that each area operates as a separate business, but on a single support platform – ideal for straight light growth, but also for an exponential growth through our licencing strategy. The technology is currently focussed on restaurant meal home delivery, but its underlying architecture allows for the real-time software to be applied other markets including supermarkets, electronics and high-street fashion/retail. Is it a competitive market? The market has been described by Forbes as “white hot” with the IPO of Just Eat. The heat is continuing to increase in the market with the acquisitions by Just Eat of Rocket Internet from Food Panda for €125m and Hungry House in excess of €300m. The market continues to impress and surpass Gartner and TechCrunch analysts’ expectations and has been likened to previous tech bubbles, but with one key difference, all these businesses are generating cash, and lots of it, and have predictable growth patterns too. With the software platform now tried and tested, the growth plan focuses on sales. This is twofold in both adding new restaurants in new territories, to extracting additional value from existing restaurants, and overall growing the end user customer base. 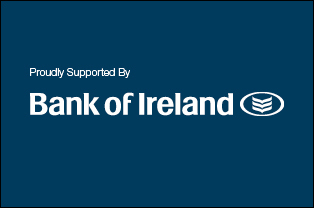 Identifying new areas and enlisting licensee’s to replicate the success demonstrated in Limerick and Ennis will ensure that we scale quickly and create brand awareness in a short time. If we focus our efforts on large towns especially if that town has a college or IT to begin with we could be self-funding within 12 to 18 months. The other advantage of pursuing large towns would be that the big players in the market have not looked at them as places of growth. However, when you argue the population vs the traffic and distance to travel towns stack up as more than viable and very profitable. They Delivery Guys are now ready to expand across Ireland through a licensing agreement and are looking for the right person in each town to replicate their success using their unique software and branding solution. You can reach them at info@thedeliveryguys.ie.